Dirge of Cerberus: Final Fantasy VII (ダージュ オブ ケルベロス -ファイナルファンタジーVII, -Dāju obu Keruberosu -Fainaru Fantajī Sebun-) is an action role-playing third-person shooter developed and published by Square Enix in 2006 for the PlayStation 2. It is part of the Compilation of Final Fantasy VII metaseries, a multimedia collection set within the universe of the popular 1997 video game Final Fantasy VII. The game is set three years after the events of the original game, and focuses on one of the game's playable characters, Vincent Valentine. In the story, Vincent is targeted by Deepground, a mysterious organization that plans to awaken a creature known as Omega, with the ability to destroy the Planet. As the first shooter game in the Final Fantasy series, the game's staff had various problems during development, although producer Yoshinori Kitase found the experience challenging, and added role-playing elements in order to make the game more entertaining for traditional fans of the main series. When Dirge of Cerberus was released outside Japan, several aspects of the gameplay were modified in order to make it more appealing. A mobile phone tie-in was also released in 2006, while in 2008, Square republished the game in Japan with the updates made for the Western versions. It has received a mixed critical reaction. Vincent using lightning materia to damage two opponents at the same time. Dirge of Cerberus is an action role-playing third-person shooter. Battles occur in real-time, with the HUD displaying information such as Vincent's hit points and magic points, the currently selected item and quantity thereof, and a cross-hair to aid in targeting enemies. The action is viewed from an over-the-shoulder perspective similar to Resident Evil 4, although players can switch to a first-person perspective if they wish. Defeating enemies yields EXP, and at the end of each stage, the player can either use that EXP to level up, increasing Vincent's stats, or convert it to Gil (the in-game currency), which can then be used to purchase items and equipment upgrades. Unlike Final Fantasy VII, where a character could equip three types of equipment (weapon, armor and accessory), Vincent's equipment consists solely of his weapon, which can contribute to his armor rating and enhance his stats through customization. Vincent has three basic gun frames available to him; a three barrel handgun called Cerberus, a rifle called Hydra, and a machine gun called Griffon. There are also several different barrels available throughout the game; short, regular and long, with longer barrels allowing easier long-range targeting, but reducing Vincent's movement speed due to their weight. Accessories, which can be attached to the weapons, include a sniper scope, charms which can increase Vincent's defense and decrease the weight of the gun (among other things), and materia, which enables magic shots with special properties that use up Vincent's magic points. Ammunition capacity can also be increased through upgrades. Vincent's Limit Breaks return from the original Final Fantasy VII. Two forms are available in Dirge of Cerberus; the Galian Beast in which he transforms into a large creature with enhanced speed and strength that last for 30 seconds. The second is Chaos, in which is Vincent's most powerful form, it is only available in the final stages of the game and is not optional. Characters featured in Dirge of Cerberus. Dirge of Cerberus centers on Vincent Valentine, who is the main playable character, although Cait Sith is also playable for a single level. The game's main antagonists are the members of an organization named Deepground, who are planning to use a creature known as Omega to destroy all life on the Planet. Their highest-ranking members are known as the Tsviets (ツヴィエート, Tsuviēto), and their leader is Weiss the Immaculate (純白の帝王ヴァイス, Junpaku no Teiō Vaisu, lit. "Weiss the Immaculate White Emperor"). The second highest-ranking member is Weiss' brother, Nero the Sable (漆黒の闇ネロ, Shikkoku no Yami Nero, lit. "Nero the Jet-black Darkness"), who leads Deepground in the field. Other members of the Tsviets include Rosso the Crimson (朱のロッソ, Aka no Rosso), Shelke the Transparent (無色のシェルク, Mushoku no Sheruku) and Azul the Cerulean (蒼きアスール, Aoki Asūru). The online mode of the game, which is only available in the Japanese version, also introduces a group called the Restrictors, the former leaders of Deepground before Weiss took over. The Restrictors' leader had implanted microchips into the brainstems of all Deepground soldiers so as to ensure they never turn against the group. However, Weiss was able to overcome this control method, and the Tsviets wrenched control from the Restrictors. Although Weiss was successful in overthrowing the Restrictors, however, the leader of the Restrictors was able to implant a virus into Weiss' bloodstream. The game begins during the climax of Final Fantasy VII. As Vincent and Yuffie Kisaragi help to evacuate Midgar, which is about to be destroyed by Sephiroth's Meteor spell, Vincent finds the body of Professor Hojo slumped at the controls of the Sister Ray cannon. After a flash of lightning, Hojo's body seems to disappear, and before Vincent can investigate, the cannon explodes, forcing Vincent to escape with Yuffie. Three years later, Vincent is in the town of Kalm when it is attacked by a group of mysterious soldiers. Vincent, with the help of his former comrade, Reeve Tuesti of the World Regenesis Organization (WRO), an organization dedicated to helping the planet recover from the events of Final Fantasy VII, fights the soldiers and forces them to retreat, but not before many of the citizens of the town have been captured, and many more killed. Reeve explains to Vincent that the soldiers were members of Deepground, a military organization created as part of a covert Shinra operation to create genetically enhanced super soldiers. Vincent soon learns that he is one of Deepground's primary targets, as he is unknowingly in possession of "Protomateria", a substance which he uses to control the "Chaos" gene hidden inside him. Deepground claims they need the Protomateria to control "Omega". According to ancient tablets discovered some years previously, Chaos and Omega have an unknown but important relationship, with Chaos described as "Omega's squire to the lofty heavens." The Chaos gene was injected into Vincent over thirty years previously by the scientist Lucrecia Crescent, Hojo's research assistant, with whom Vincent was in love. In an effort to find answers, Vincent goes to the town of Nibelheim where Lucrecia studied Omega and Chaos. Whilst at Lucrecia's research lab, Vincent is ambushed by Rosso the Crimson, who steals the Protomateria but is prevented from killing Vincent by the arrival of Yuffie. As they return to the WRO headquarters, they find that Deepground has launched an assault on the base. However, Deepground member Shelke the Transparent has been captured by the WRO, and reveals that she is synaptically interconnected to Lucrecia's memories, thus allowing the WRO to complete Lucrecia's research on Omega. Shelke's sister, Shalua Rui, a high ranking scientist in the WRO, soon discovers that Omega is a WEAPON, which activates when the Planet senses that it is in mortal danger (like the WEAPONs it activated in the original Final Fantasy VII). Omega's function is to absorb the Lifestream from the Planet and then move to another planet, leaving the inhabitants behind to die. Deepground plans to slaughter a huge number of people at once so as to 'trick' the planet into activating Omega prematurely. Vincent and the WRO launch a full-scale assault on Deepground's headquarters in Midgar. While Reeve's team battles the Deepground soldiers and attempt to destroy the Mako reactors which serve as a means to revive Omega, Vincent heads to Deepground's centre of operations to confront Weiss. He is surprised to find Weiss slumped in his chair, dead. However, as Omega begins to manifest itself, Weiss seems to revive, and confronts Vincent. It is revealed that Weiss is possessed by Hojo; before Hojo was killed in the Mako Cannon three years earlier, he uploaded his consciousness into the Worldwide Network, then took possession of Weiss's body while he was online attempting to find a cure for the virus with which the Restrictors had infected him. Hojo/Weiss and Vincent battle to a standstill. However Nero, who had been defeated earlier by Vincent, emerges from the Lifestream and destroys Hojo. Nero then merges with Weiss in order to help him fuse with Omega, just as Vincent is fused with Chaos. While the WRO continues to fight the remnants of Deepground, Vincent transforms into Chaos in a desperate attempt to defeat Omega Weiss. Shelke dives inside Omega to find Lucrecia's Protomateria, and upon finding it, she gives it to Vincent, also telling him that his survival made Lucrecia happy. Vincent then takes control of Chaos and battles Omega. Omega sprouts wings and tries to ascend from the planet, but Vincent manages to destroy it, disappearing in the process. A week later, he is seen visiting Lucrecia's crystalline tomb in the Crystal Cave. He states that both Chaos and Omega have returned to the Planet, and he thanks Lucrecia for being the reason he survived. He is then found by Shelke outside the cave, and she tells him that everyone else is waiting for him. In the secret ending of the game, "G", a legendary warrior with unexplained connections to Deepground, awakes beneath the ruins of Midgar. He finds Weiss's body, and picks it up. He tells the dead Weiss, "It is not yet time for slumber. We still have much work to do... My brother." He then sprouts a large black wing and flies into the night carrying Weiss with him. The Crisis Core Ultimania, however, explains that "G" (Genesis) has returned from his three-year slumber to protect the Planet. When Final Fantasy VII: Advent Children began development, the Square Enix staff agreed that one title from Compilation of Final Fantasy VII was not enough to cover the entire world, and so Before Crisis: Final Fantasy VII, Dirge of Cerberus and Crisis Core: Final Fantasy VII were conceived so as to embrace more aspects. With no official word from Square on the genre of the game, many publications and gamers speculated that it would be an action game similar to the Devil May Cry series. In 2004, however, character designer Tetsuya Nomura denied this, and stated that the genre would surprise gamers. Producer Yoshinori Kitase decided the title to be a shooting game based on his love for first-person shooters and the challenge provided for the developers that would eventually improve their skills. He said that role-playing elements were added as the design work on pure action games was less appealing to developers. Vincent was chosen as the game's protagonist due to the scope for expanding his backstory, which was left very vague in Final Fantasy VII. The fact that his main weapon was a gun also worked into the team's desire to create a more action-oriented game. Prior to the solidification of the Compilation of Final Fantasy VII, the development team originally considered using other gunfighter characters from the Final Fantasy series, such as Final Fantasy VII's Barret Wallace, Final Fantasy VIII's Irvine Kinneas or Final Fantasy X-2's Yuna. However, after the release of Before Crisis and Advent Children, and with the expansion of the Final Fantasy VII mythos, they settled on Vincent. The main character designer for the game, Tetsuya Nomura, had also worked on both Final Fantasy VII and Final Fantasy VII: Advent Children. The Tsviets were designed with the idea of creating a sense of balance for the warriors with which players would already be familiar; primarily Vincent, Cloud Strife and Sephiroth. Nomura initially had doubts when designing Shelke's ordinary clothes for the end of the game, but he felt it was important for her to appear out of uniform so as to indicate she was truly free from Deepground. The character of G was based on the Japanese singer and actor Gackt, who wrote and performed the two theme songs of the game, and voiced G in the Japanese-language version of the game. Hideki Imaizumi, the producer of Crisis Core, liked the mysterious role of G so much, he decided to expand his character in that game. The character of Lucrecia Crescent, who features briefly in an optional quest in the original game, was redesigned so as to give her a similar appearance to her son, Sephiroth, based on portraits from guidebooks and in fan-art. Reeve Tuesti was also redesigned, as he only appears briefly in the original game as himself rather than through Cait Sith. Dirge of Cerberus was first announced in September 2004, and was scheduled for release in Japan in 2005. The game's official site went online in April 2005. In May, Nomura stated that several snippets from the game would be revealed during that year's E3. However, no demo was shown at E3, as the staff were still trying to fix some issues with the controls in the game. In September, the beta test program was postponed indefinitely. Listed as 60% complete, the company stated if the beta test started with the game's current state, they would not be able to fully utilize the beta testers. The North American and European releases of Dirge of Cerberus received a major overhaul as the developers were not completely satisfied with the final Japanese version of the game. They also wanted to make the game more single-player oriented, and as such, they removed Online Multiplayer support, primarily due to the lack of popularity of PlayOnline outside Japan, and lack of PS2 HDD support in the U.S. Missions from the Multiplayer Mode were reworked into unlockable secret missions in the English-language versions of the game, although none of the additional storyline presented in the Japanese Multiplayer Mode featured in the English versions. The Easy Mode, which was originally featured in the Japanese version to assist gamers not overly familiar with shooter games, was also removed. On September 11, 2008, the English-language version was released in Japan as Dirge of Cerberus: Final Fantasy VII International (ダージュ オブ ケルベロス -ファイナルファンタジーVII- インターナショナル, Dāju obu Keruberosu -Fainaru Fantajī Sebun- Intānashonaru), as part of Square's Ultimate Hits lineup. The soundtrack for the game was composed by Masashi Hamauzu. Japanese singer and actor Gackt wrote and performed the two theme songs, "Longing" and "Redemption". For the game's ending theme, "Redemption", the staff originally planned for it to be a ballad, but Gackt decided to make it a rock song instead. Upon hearing Gackt's ideas, the staff were pleased with the direction in which he had gone. The CD soundtrack, Dirge of Cerberus: Final Fantasy VII Original Soundtrack, was released on February 15, 2006 in Japan. Consisting of two CDs, the soundtrack spanned 53 tracks. A limited edition of the soundtrack includes a "Cerberus Complete Case" deluxe box designed to hold the soundtrack along with the Dirge of Cerberus: Final Fantasy VII PS2 game and the limited edition of Gackt's single for the game, "Redemption". This single was released on January 25, 2006. A limited edition was also released featuring two "Redemption" video clips; Gackt's promotional music video, and an alternate video using clips from the game. A supplemental soundtrack was released through the Japanese iTunes service and the Square-Enix Music Download page on August 22, 2006. Titled Dirge of Cerberus: Final Fantasy VII Multiplayer Mode Original Sound Collections, this album consists of 27 tracks, including several songs from the single player game which were not included in the official soundtrack, as well as all of the original music composed for the multiplayer mode, and two new songs composed by Ryo Yamazaki for the North American release of the game. Dirge of Cerberus: Final Fantasy VII shipped 392,000 units in its first week. On August 31, 2008, Square Enix announced that 460,000 units were sold in North America and 270,000 units in Europe. As of November 2008, over 513,000 copies of the game have been sold in Japan alone. In July 2006, Dirge of Cerberus was in Sony's Gold category of top selling video games (the Gold category includes games which have sold anything from 500,000 units to 1 million). Upon its release in Japan, the game received mixed reviews. Gaming magazine Dengeki PS2 rewarded the game with a 313/400, while Famitsu scored it a lower 28/40. Dirge of Cerberus received similarly mixed reviews from English critics. 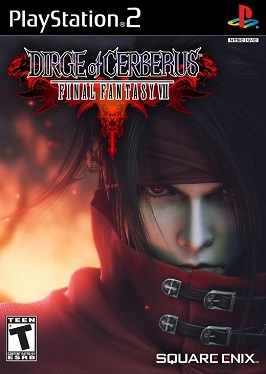 GameSpot stated that Dirge of Cerberus "does have a few interesting and even entertaining moments, but will ultimately leave action game fans and Final Fantasy fans feeling unfulfilled." Despite stating Dirge of Cerberus is not "the best use of the Final Fantasy VII universe," IGN called it "a decent game with a strong story and occasionally-engaging rifle blasting." 1UP.com gave the game a D+, criticizing the enemies' intelligence and weak scenarios, and labeling the story "boring." Reviewers from Electronic Gaming Monthly gave it a C, with Shane Bettenhausen stating that he found all of the titles in the Compilation of Final Fantasy VII to be unappealing. Eurogamer found that Dirge of Cerberus was a "risky gamble" by Square Enix, as their first shooter, and he criticized the fact that most of the main characters in the game were either optional in Final Fantasy VII or had only small roles. GameSpy awarded the game a "fair" score of three stars out of five, calling its gameplay and plot interesting, but finding other aspects generic. GameTrailers praised the game's storyline, calling it "convoluted, but incredibly impressive in its scope." They also praised the changes Square had made to the Western versions, but found the game to be very similar to Devil May Cry, and felt that it didn't make good enough use of Vincent's abilities. While the CGI cutscenes and designs also received positive comments, the lack of variety in enemy types was criticized. G4's game review show, X-Play, gave the game a negative review, with 2 stars out of 5, citing poor level design, weak gameplay, too many cutscenes and bad AI. At GameRankings, the game holds a score of 60%. The combined score from Metacritic is 57 out of 100 based on 51 reviews. Dirge of Cerberus Lost Episode: Final Fantasy VII (ダージュ オブ ケルベロス ロスト エピソード -ファイナルファンタジーVII-, Dāju obu Keruberosu Rosuto Episōdo -Fainaru Fantajī Sebun-) was co-developed by Square Enix and Ideaworks3D, and published by Square Enix. Unveiled at the 2006 E3, the game was released on August 22, 2006 in North America and July 26, 2007 in Japan. Initially only available on Amp'd Mobile phones, the game was subsequently made available on Verizon's V Cast network. It was also unveiled as a flagship title for NTT DoCoMo's FOMA 903i handset at the 2006 Tokyo Game Show. The title initially contained only a single player mode, with a multiplayer function introduced at a later date. Lost Episode involves a 'missing' chapter of Dirge of Cerberus taking place between two events of the main game. IGN called it "passable", awarding it a score of 6.7 out of 10, arguing that the graphics did not fit the mobile phone, causing a sense of misbalance. ^ a b c Cheng, Justin (May 19, 2005). "E3 2005: Yoshinori Kitase Interview". IGN. Archived from the original on June 29, 2011. Retrieved July 19, 2010. ^ "Dirge of Cerberus: Final Fantasy VII". Siliconera. Archived from the original on 2010-01-17. Retrieved 2011-03-29. ^ a b c Mueller, Greg. "Dirge of Cerberus: Final Fantasy VII". GameSpot. Archived from the original on October 14, 2014. Retrieved July 16, 2010. ^ Final Fantasy VII 10th Anniversary Ultimania (Revised Edition) (in Japanese). Square-Enix. 2009. pp. 100–101. ISBN 978-4-7575-2560-3. ^ Square Enix (August 15, 2006). Dirge of Cerberus: Final Fantasy VII. PlayStation 2. WRO Member: With Jenova War hero Reeve Tuesti at its helm, our organization is dedicated to aiding the healing process of the planet, as well as protecting it from any who attempt further harm. ^ Square Enix (August 15, 2006). Dirge of Cerberus: Final Fantasy VII. PlayStation 2. Reeve: Good work, Vincent. The enemy is retreating. It seems they have finally begun their withdrawal from Kalm. ^ Square Enix (August 15, 2006). Dirge of Cerberus: Final Fantasy VII. PlayStation 2. Vincent: Reeve. Who were those men? / Reeve: Deepground soldiers. / Vincent: Deepground? / Reeve: Yes. The shadow of the Shinra Company, constructed by the former president and completely hidden from the rest of the world. / Vincent: Constructed? / Reeve: His goal was to create an army of superhuman warriors--not once letting morality interfere. The man you met earlier, Azul, is also a member of Deepground. But, he belongs to an elite unit known as the Tsviets. ^ Square Enix (August 15, 2006). Dirge of Cerberus: Final Fantasy VII. PlayStation 2. Rosso: So you're Vincent Valentine. Keeper of the Protomateria. / Vincent: Protomateria? / Rosso: Yes. The key to controlling Omega. We know you have it. ^ Square Enix (August 15, 2006). Dirge of Cerberus: Final Fantasy VII. PlayStation 2. Shalua: I carried you back here from Edge after you collapsed during your fight with Deepground. It seems like the beast inside you went a little wild back there. This happen often? / Vincent: Went wild? Do you mean Chaos? / Shalua: Chaos? Your body harbors the Chaos gene? So that explains your relationship with Dr. Lucrecia Crescent. Were you the product of one of her experiments? ^ Square Enix (August 15, 2006). Dirge of Cerberus: Final Fantasy VII. PlayStation 2. Reeve: Where are you... / Vincent: Nibelheim. / Reeve: Wait. Shinra Manor? But that is where... Understood. ^ Square Enix (August 15, 2006). Dirge of Cerberus: Final Fantasy VII. PlayStation 2. Rosso: I'm sorry. Were you not expecting that? So, you cannot control the beast without this. Well, there will be no need for it when I'm done with you. ^ Square Enix (August 15, 2006). Dirge of Cerberus: Final Fantasy VII. PlayStation 2. Yuffie: I was poking around Nibelheim and I found you looking all corpselike in Shinra Manor. So I saved you. Imagine that--me, saving the great Vincent Valentine. Do I get any thanks? ^ Square Enix (August 15, 2006). Dirge of Cerberus: Final Fantasy VII. PlayStation 2. Shelke: Are you speaking of Dr. Lucrecia Crescent's findings? / Reeve: Yes. But how did you...? / Shelke: A large quantity of her mnemonic data fragments has been uploaded into my neural network. It was my prime directive to use this data to locate and retrieve the Protomateria. However, not only was the data incomplete, but part of her consciousness began interfering with my own thought processes. It was believed that the missing fragments may have been the reason for this. I can attempt to upload the WRO's files on the Omega Report. By combining it with the data I possess, you may obtain a clearer picture of what you will be up against. ^ Square Enix (August 15, 2006). Dirge of Cerberus: Final Fantasy VII. PlayStation 2. Shelke: Omega is the same type of life form as the WEAPONs we encountered three years ago. The planet gave birth to these creatures to protect itself just as the planet will ultimately give birth to the final Weapon, Omega, when the end of the world is imminent. In essence, Omega is an elaborate safety mechanism designed solely to maintain and protect the flow of life. Normally, Omega poses no threat to us. It only manifests when the planet has detected something that may cause her danger. / Reeve: However, Deepground is attempting to awaken the beast early. Thus the kidnappings. ^ Square Enix (August 15, 2006). Dirge of Cerberus: Final Fantasy VII. PlayStation 2. Reeve: Omega is being revived deep beneath Midgar in Mako Reactor 0. To increase the output of Reactor 0, all the other reactors have been tied into its mainframe. Our objective is to destroy 1 through 8 and slow the reanimation process. ^ Square Enix (August 15, 2006). Dirge of Cerberus: Final Fantasy VII. PlayStation 2. Cid: Vince, don't worry about the reactors. We'll take care of them. You work on those four wackos. I don't like letting you have all the fun, but you know I can't leave my baby here alone. Cloud and the others will be shutting down the power, and there's no way we're lettin' Yuffie go down there by herself. ^ Square Enix (August 15, 2006). Dirge of Cerberus: Final Fantasy VII. PlayStation 2. Vincent: This is Weiss? / Yuffie: It's--he's--it's dead? / Nero: But not for long. ^ Square Enix (August 15, 2006). Dirge of Cerberus: Final Fantasy VII. PlayStation 2. Weiss: My body is one with Omega. Just as yours is with Chaos. ^ Square Enix (August 15, 2006). Dirge of Cerberus: Final Fantasy VII. PlayStation 2. Weiss: Three years ago, while I was still running about looking for Sephiroth, I took it upon myself to distribute my data--my mind, my knowledge, my inner being, across the worldwide network. And even though my body had died, and the world had been left in ruin, I survived in a virtual reality. When the network was restored, the scattered data regrouped and I was reborn. A neo-Reunion, you could say. / Vincent: You... / Weiss: That's right, boy. It's me. Hojo! ^ Square Enix (August 15, 2006). Dirge of Cerberus: Final Fantasy VII. PlayStation 2. Nero: Let us become one. Let us come together, so that none may ever tear us apart. / Weiss: Yes. Let us... Let us go join him. / Nero: Weiss... / Weiss: Nero... / Hojo: No! Stop it! You can't! This is my body now! No! ^ Square Enix (August 15, 2006). Dirge of Cerberus: Final Fantasy VII. PlayStation 2. Shelke: Omega has awoken. And Chaos has been drawn out of the shadows to serve as a counterbalance. Or so it would seem. ^ Square Enix (August 15, 2006). Dirge of Cerberus: Final Fantasy VII. PlayStation 2. Lucrecia: But I'm so happy you survived. / Vincent: Lucrecia! ^ Square Enix (August 15, 2006). Dirge of Cerberus: Final Fantasy VII. PlayStation 2. Shelke (as Lucrecia): Take this... Vincent. ^ Square Enix (August 15, 2006). Dirge of Cerberus: Final Fantasy VII. PlayStation 2. Cloud, Tifa, Barret, Yuffie, Cid and Reeve: Vincent! / Vincent: Guess I have no choice. It's time...to save the world. ^ Square Enix (August 15, 2006). Dirge of Cerberus: Final Fantasy VII. PlayStation 2. Vincent: Lucrecia. Everything's alright now. Omega and Chaos have returned to the planet. Thank you. It was you. You were the reason I survived. ^ Square Enix (August 15, 2006). Dirge of Cerberus: Final Fantasy VII. PlayStation 2. WRO soldier: Sir. I've been spending time analyzing the data retrieved from the files of former weapons development administrator Scarlet. Deepground. It used to be a medical facility for injured SOLDIER troops. Military personnel would be sent there for care and rehabilitation. However, over time, it evolved into a laboratory for madmen content on ignoring all laws of man and nature. And supposedly this evolution took place because of the existence of one rogue SOLDIER—a man known only as "G." However, that's all we were able to retrieve. ^ Stone, Cortney (September 1, 2005). "Kitase Discusses Compilation of Final Fantasy VII". RPGamer. Archived from the original on March 3, 2016. Retrieved September 2, 2007. ^ Young, Billy (December 1, 2004). "Details Arise From Tetsuya Nomura Interview". RPGamer. Archived from the original on August 27, 2005. Retrieved July 19, 2010. ^ Massimilla, Bethany (May 19, 2005). "Dirge of Cerberus: Final Fantasy VII E3 2005 Interview". GameSpot. Retrieved July 20, 2010. ^ a b c d e Dirge of Cerberus: Final Fantasy VII Official Complete Guide (in Japanese). Square Enix. February 17, 2006. pp. 288–296. ISBN 4757516223. ^ McCarthy, Dave. "Crisis Core: Final Fantasy VII UK Interview". IGN. Archived from the original on 2009-02-21. Retrieved 2009-03-08. ^ Gantayat, Anoop (September 15, 2004). "PS2 Gets Final Fantasy VII Spinoff". IGN. Archived from the original on May 25, 2011. Retrieved July 19, 2010. ^ Lewis, Ed (April 4, 2005). "Final Fantasy VII Site Goes Live". IGN. Archived from the original on May 25, 2011. Retrieved July 19, 2010. ^ Lewis, Ed (May 4, 2005). "Tetsuya Nomura on Everything". IGN. Archived from the original on June 4, 2011. Retrieved July 19, 2010. ^ Gantayat, Anoop (August 31, 2005). "E3 2005: Yoshinori Kitase Interview". IGN. Archived from the original on June 29, 2011. Retrieved July 20, 2010. ^ a b Shoemaker, Justin (May 11, 2006). "E3 06: Dirge of Cerberus Localization Update". GameSpot. Retrieved July 20, 2010. ^ "Dirge of Cerberus, Drakengard Become Ultimate Hits" (in Japanese). RPGFan. Archived from the original on September 30, 2013. Retrieved September 30, 2013. ^ Winkler, Chris (2006-03-26). "Dirge of Cerberus -Final Fantasy VII- OST". RPGFan. Archived from the original on 2013-01-16. Retrieved 2008-07-28. ^ "Gackt: Discography - Redemption" (in Japanese). Gackt's official website. Archived from the original on March 27, 2014. Retrieved July 21, 2010. ^ "Square Enix Music Download" (in Japanese). Square Enix. Archived from the original on 2008-07-27. Retrieved 2008-07-29. ^ a b "Dirge of Cerberus: Final Fantasy VII for PlayStation 2". GameRankings. CBS Interactive. Archived from the original on June 25, 2009. Retrieved June 9, 2018. ^ a b "Dirge of Cerberus: Final Fantasy VII for PlayStation 2 Reviews". Metacritic. CBS Interactive. Archived from the original on August 6, 2011. Retrieved July 16, 2010. ^ a b Pfister, Andrew (August 15, 2006). "Final Fantasy VII: Dirge of Cerberus (PS2)". 1UP.com. Archived from the original on 2016-09-07. Retrieved July 16, 2010. ^ a b Bettenhausen, Shane (August 29, 2006). "Final Fantasy VII: Dirge of Cerberus (PS2)". 1UP.com. Archived from the original on 2016-09-07. Retrieved July 21, 2010. ^ a b Fahey, Rob (November 16, 2006). "Final Fantasy VII: Dirge of Cerberus (PS2)". Eurogamer. Archived from the original on February 21, 2009. Retrieved July 21, 2010. ^ a b Jenkins, David (February 10, 2006). "Japanese Sales Charts, Week Ending February 5". Gamasutra. Archived from the original on June 5, 2011. Retrieved July 16, 2010. ^ a b Speer, Justin (August 14, 2006). "GameSpy: Dirge of Cerberus: Final Fantasy VII". GameSpy. Archived from the original on June 10, 2010. Retrieved July 21, 2010. ^ a b "Game Trailers: Dirge of Cerberus: Final Fantasy VII". GameTrailers. Archived from the original on August 29, 2009. Retrieved July 21, 2010. ^ Dunham, Jeremy (August 11, 2006). "Dirge of Cerberus: Final Fantasy VII review". IGN. Archived from the original on May 25, 2011. Retrieved July 16, 2010. ^ a b Orlando, Greg. "Final Fantasy VII: Dirge of Cerberus (PS2)". X-Play. Archived from the original on September 29, 2007. Retrieved July 21, 2010. ^ "Top 10 Weekly Software Sales (January 23–29, 2006)". Archived from the original on 2006-02-05. ^ "Annual Report 2007" (PDF). Square-Enix.com. August 6, 2004. Archived (PDF) from the original on November 8, 2008. Retrieved 2008-12-20. ^ "Sony PS2 Japanese Ranking". Japan-GameCharts.com. Archived from the original on 2008-12-16. Retrieved 2008-12-20. ^ Wyman, Walt (July 26, 2006). "Sony honors Japanese top sellers". GameSpot. Retrieved July 20, 2010. ^ Pueschel, Ian (2006-01-25). "Famitsu/Dengenki Review Scores - Dirge of Cerberus, Tourist Trophy". Games Are Fun. Archived from the original on 2007-05-19. ^ Dunham, Jeremy (August 11, 2006). "Dirge of Cerberus: Final Fantasy VII review". IGN. p. 2. Archived from the original on May 25, 2011. Retrieved July 21, 2010. ^ "Dirge of Cerberus Lost Episode -Final Fantasy VII- breaks down mobile gaming boundaries" (Press release). Square Enix. 2006-08-22. Archived from the original on 2012-02-07. Retrieved 2008-04-22. ^ "What's New" (in Japanese). Square Enix. Archived from the original on 2007-10-05. Retrieved 2008-04-22. ^ Vasconcellos, Eduardo (December 4, 2006). "Dirge of Cerberus: Final Fantasy VII: Lost Episode Review". IGN. Archived from the original on November 18, 2008. Retrieved July 22, 2010.